> I understand by default, WebSite-Watcher is identified as Internet Explorer. > server. 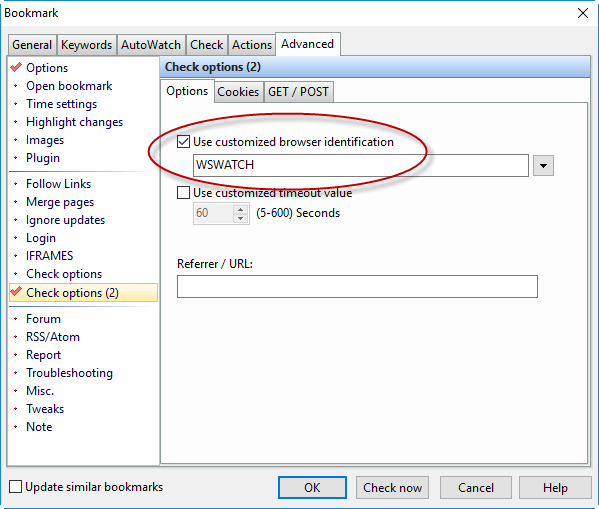 Is there a specific way to configure the User-Agent to identify us? 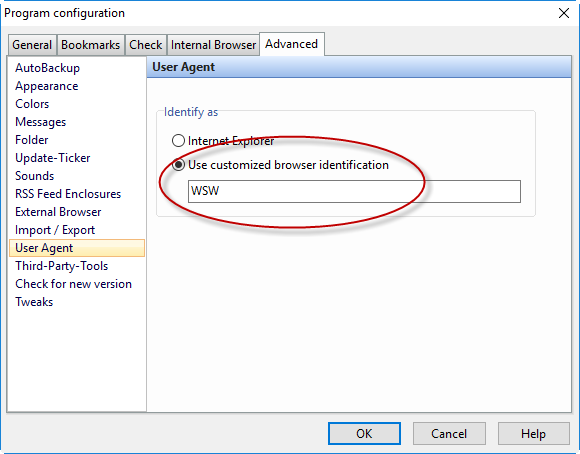 You can define a custom User Agent either globally in the program configuration or individually per bookmark in the bookmark properties. 2. Select the tab "Advanced"